Introduction to the sport of a lifetime. Golf in Schools allows children to experience a non contact sport with lasting character values at a young age. Option 1-$3,800- Includes 2 weeks of PGA instruction in the PE class with curriculum and all equipment brought in. Best practices, curriculum share and innovative techniques presented to teacher for use in future golf units. Option 2- $6,500 Includes 2 weeks of PGA instruction in the PE class with curriculum and all equipment brought in. Best practices, curriculum share and innovative techniques presented to teacher for use in future golf units. All equipment will be left for the school district to keep and own! Enough equipment will be given to the school to have 50+ class sizes. School district will be given a discount code for any supplemental equipment they may need in the future. Program can be done completely indoors (any gymnasium size is usually adaptable), outside (any open green space/field) or a combination of both. Our Golf in school curriculum is a grass roots effort to introduce school age children the the wonderful sport of golf. 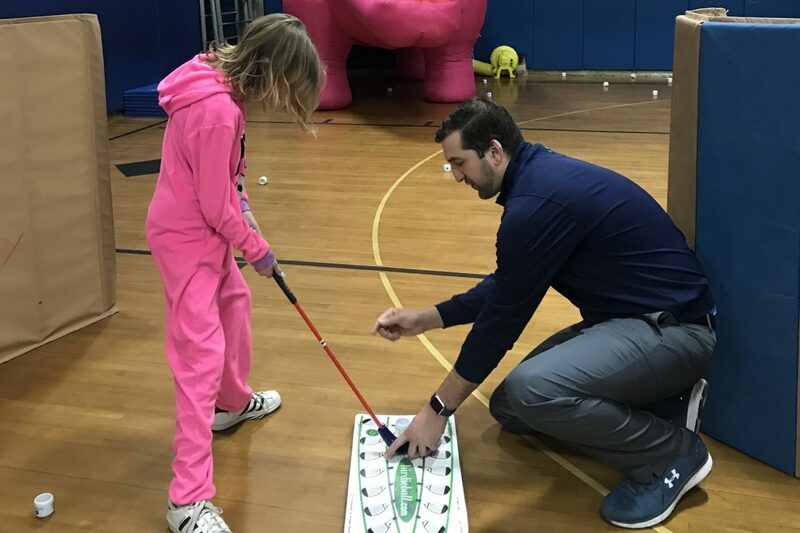 PGA Professionals go into P.E. classes classes for 2 weeks and instruct along side the P.E. 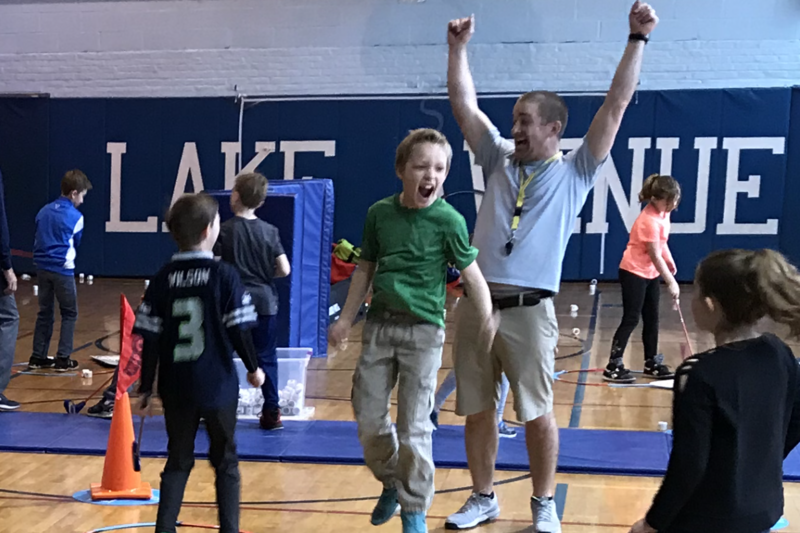 teacher to teach the basics of the sport in a safe and fun environment using station base learning. At the end of the 2 week session all coaching equipment can be left at the school with the goal of adding golf to the yearly curriculum. 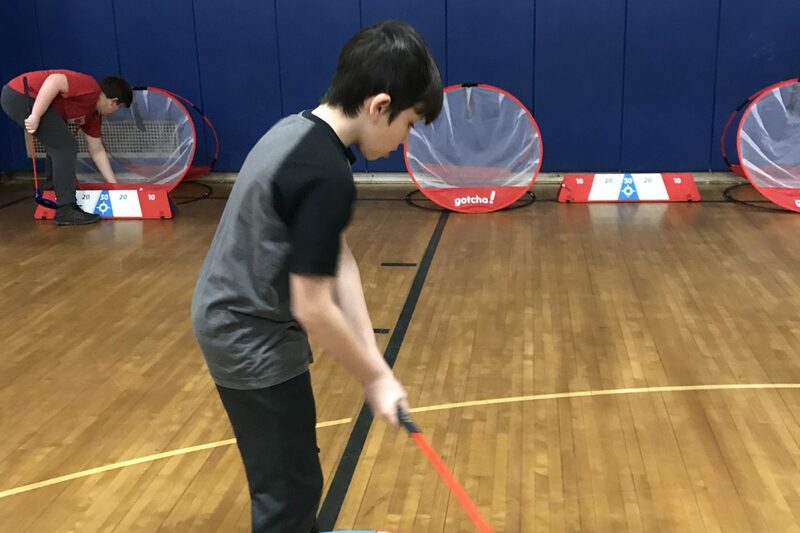 -Equipment includes high impact youth plastic clubs, colored tennis balls, Velcro targets, nets, and training aids all put into 2 roll- away storage bags. 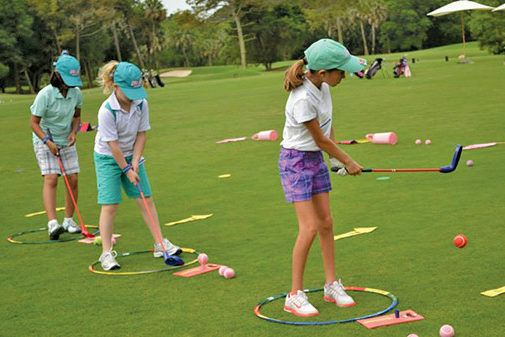 -Opportunities for field trips to local golf courses available depending on locale.